Whether you believe in miracles or not, we all face times in our lives when we most certainly need one. Be it because we’re praying for a better job, a child, a cure to a disease we have or simply for a better world, turning to our own form of God is simply inevitable. I don’t know you (but I urge you to leave a comment or get in touch so I get to know you) and I don’t know if you’re a Christian, Jew, Muslim or you praise the Flying Spaghetti Monster but whatever it is, I want to tell you about this magical place where lots of people have found answers to their prayers. Who knows – you may get the best spaghetti with meatballs in your life after visiting it! The little problem is, that you only get to see the sign if you’re coming from Pamporovo, so I strongly recommend you have navigation. After you leave the main road get ready for a long drive and a million turns. This is perhaps the first time I am seeing Google having it terribly wrong: it says the drive is 49 minutes but I disagree. With the number of times you will have to pull over to let another car go or slow down because the road isn’t all that nice the entire journey will probably end up being about an hour and 10 or 20 minutes. But please, don’t let this discourage you! Read on to find out why! 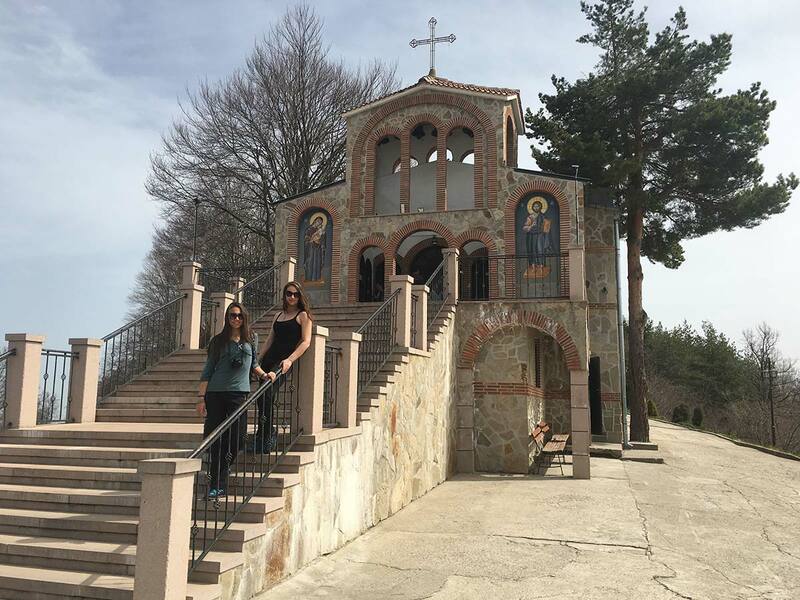 The Cross Forest and the Holy Trinity monastery are amongst the most well-known pilgrim locations in Bulgaria. As a matter of fact on the 14th of September thousands of people head off to the area and sleep under the stars. It is believed that on this particular day God heals people in their sleep. I doubt that a sleepover under the September night sky can help someone grow a leg or an arm, but for what I know the beauty of this place can help you heal at least a broken heart. The only monastery having a service at midnight. Every night. We didn’t get to experience this, but we do definitely plan on visiting again and staying overnight so we can enjoy a service at midnight. To us, as you may know (or not), religion isn’t necessarily about monasteries and churches and all that. Nonetheless, a service with a priest allows you to have the time to actually focus and connect with this higher power, which we all call differently. And there is no other place in Bulgaria (and maybe even on the Balkans), where you can experience a midnight service. Ellie saw a picture of this icon when we went to the Assen’s fortress last year and she somehow clicked with the image. In all honesty I found it creepy, but this only lasted until I “met” the actual icon. Located in the end of a hallway, the entrance of which is on the right side of the main church, this icon is extremely confusing. While it is drawn with Jesus’s eyes closed, you still have the feeling he is looking straight at you. The emotion can’t really be described – you should feel it yourself. We’ve never seen this done anywhere and we found the chapels to be really beautiful. For what I know, there is no other place in the Bulgaria (and in the world) where each apostle has his own home. Rumours have it that on the night of the 14th of September miracles happen. People claim to have seen a huge cross in the skies above the Holy Trinity church and the souls of the apostles returning to their homes there to leave blessings for the people who visit them. That being said, if you are somehow attracted by the story of any of the apostles, make sure you visit his chapel at the Cross Forest. If you don’t know much about the apostles, check here. As for the Jesus Christ piece of cross: don’t expect to see it there. Nonetheless, the stories told about the presence of the cross on this particular spot are quite believable. The cross you’ll see there nowadays is very (I mean it) interesting. Not only is it a cross supposed to combine all religions, but as you see there is the Illuminati eye in it. Quite interesting, isn’t it? 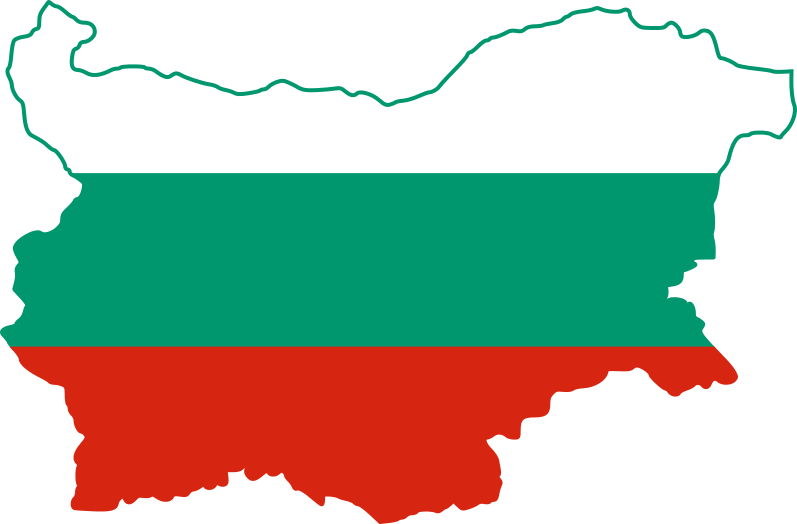 previous post: Where do Bulgarian travel bloggers go on holidays?